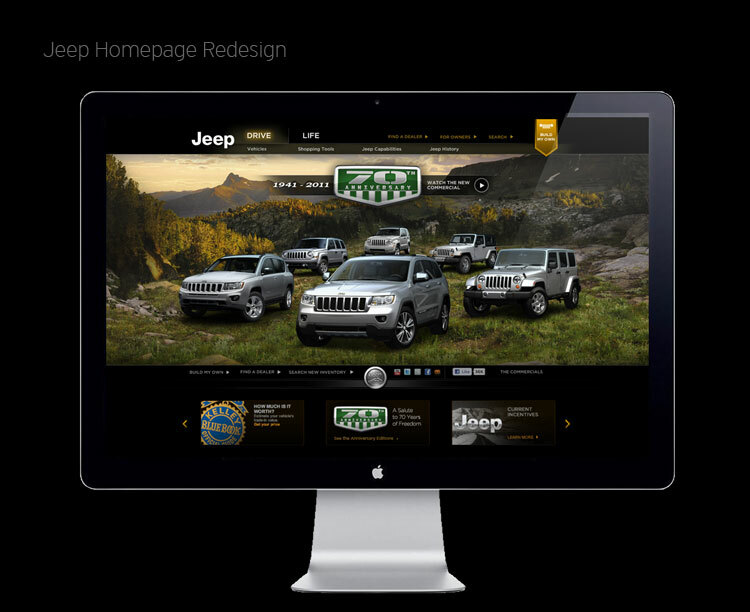 Jeep.com had gone through a few face lifts over the years and approached SapientNitro with a challenge to update and revitalize the Jeep homepage and vehicle landing Pages. 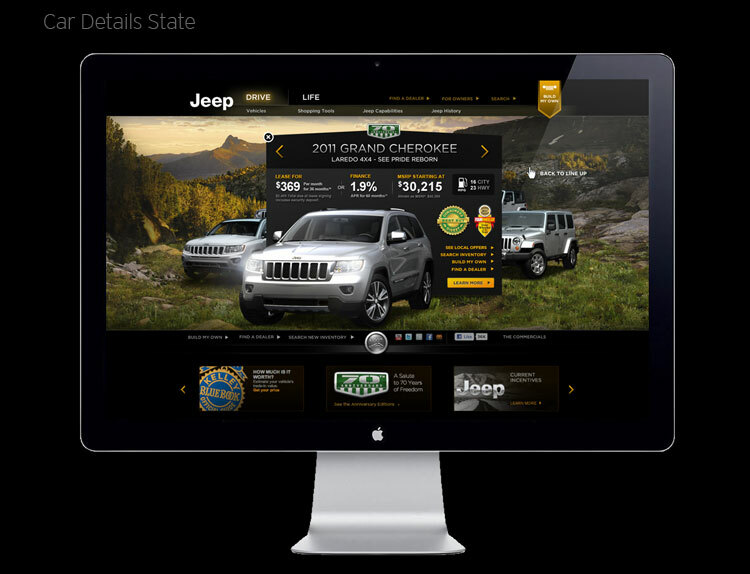 We approached the homepage design challenge by showcasing all the vehicles in a carrousel format where a user can select a vehicle and quickly see more info about that vehicle. For the vehicle landing pages, we took the same wide screened approach for the hero image, but iInstead of just having one hero image, we went with an editorial page layout that would highlight some of the cars features and strengths.